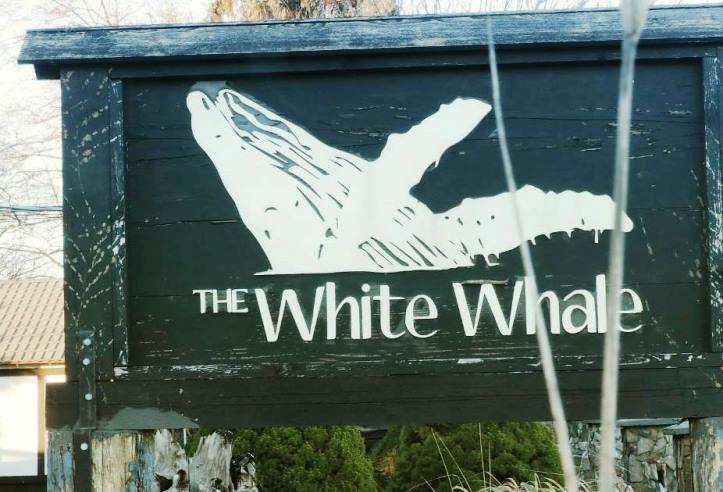 The White Whale is an iconic restaurant in the Comox Valley located on the water just steps from downtown Courtenay. The White Whale opened on Canada Day 2014, and has been a hub for great beer and freshly prepared local food ever since. Fresh oysters might be considered the house specialty, but the ever-changing rotation of 16 BC craft beers on tap are another big draw! Daily happy hour and Buck-A-Shuck Oysters from 3 – 5pm draws an enthusiastic crew of local foodies. The warm cozy interior and friendly staff create incredible atmosphere, and the huge waterfront patio and boat accessible dock ensure crowds of happy diners all summer long. For anyone who loves a good dining experience and cares about where their food comes from, the White Whale is a must! See you soon! With 16 rotating taps and a little 'insider trading', The Whale easily boasts the best and most unique craft beer selection north of Victoria. The team at the White Whale is selfish about BC Craft Beer. They want the best variety of locally crafted lagers, ales, IPA’s, sours and seasonal offerings anywhere in the area. Luckily, beer drinkers seem to want the same thing. With 16 rotating taps and a little ‘insider trading’, The Whale easily boasts the best and most unique craft beer selection north of Victoria. Try a pint or if you can’t decide, sample any 4 beers or ciders with one of our ‘paddles’. The pristine, glacier fed waters off Vancouver Island, BC, produce some of the best oysters in the world! The White Whale is situated in the heart of the best oyster farming region in the world, so we thought… why not be THE oyster bar! The local waters here are cold and clean, producing the finest and most delicious oysters anywhere. We receive these very oysters daily to ensure the freshest slurping experience possible. And.. if that’s not good enough, our daily $2/shuck special from 3 – 5pm will keep you coming back. Everything on the menu is crafted from scratch in-house, including all sauces, dressings and even breads. Chef Jeff and his team have worked long and hard to build relationships with many local farms, fisheries and food producers. This all culminates in his seasonally shifting menu, highlighting the best ingredients our region has to offer. The style of cuisine can be described as ‘Gastro-Pub’, as it features typical menu items like nachos, pizzas and burgers, all served up with creativity and passion that is anything but typical! You have to try it to believe it! with hot honey, pea shoots. roasted wild and tame mushrooms, bacon, truffled parmesan cream. confit chicken leg, broccolini, shallots, alfredo sauce. bacon, ham, sausage, meatballs, tomato sauce. kalamata olive tapenade, confit garlic and goat cheese. shoyu chicken broth, tare, noodles, winter greens, noodles, 6:40 egg. choice of tuna, chicken thighs or pork. of soup, salad or fries. choice of fries, soup or salad. avocado, cilantro and pumpkin seeds. We don't just care about beer at the White Whale. We're also proud of our extensive drink list including a great selection of BC wines, locally produced soft drinks, coffees and teas. Our Cocktail and Martini list is truly original, featuring seasonally inspired hand built drinks using only the finest local spirits, infusions, house made bitters, syrups and fresh ingredients. Curated our very own White Whale Gin, Clever Crow salt rim, Clamato juice, tabasco, worcestershire, House made honey glazed bacon for garnish and a fresh stick of celery. Lemon Juice, Taboo Absinthe rinse. The creative genius of our bartenders will make a delightful cocktail sure to impress. The White Whale doesn't always host events, but when they do, you should probably go! If you ever find yourself in the Lower Mainland looking for a pint of craft beer, one of your best bets is to walk down Brewers Row in Port Moody. Brewers Row is four of our favourite breweries: Twin Sails, Parkside, Yellow Dog, and Moody Ales. On February 9th, we’re bringing Moody Ales from the Row over for one of our legendary FIVE (5) course beer pairing dinners! It’s our first beer pairing dinner of the year so we’re setting the bar extra high for this night of great food and great brews, come hungry and come thirsty! Chef Jeff, our new Executive Chef, is stoked to create a unique one-of-a-kind menu for this special night. Tickets are $75 and it’s typically a packed event, so plan ahead to ensure you have a seat at the table. The White Whale doesn’t always host events, but when they do, you should probably go, as it’s a guaranteed good time! Monthly Beer Pairing dinners showcase everything the Whale is passionate about. Canada Day is also the Whale’s birthday, and the party is always epic! Live music and foodie events scatter throughout the rest of the year, meaning there’s always a good time on the horizon. Don’t miss out! The White Whale works hard to create fun and wearable clothing that's always a hit. Everchanging styles and small orders ensure that your White Whale gear will be as fresh and tasteful as our food! Check in house to see what we currently have in stock. A special interactive dining experience, Chef will prepare a meal to your guidelines using only local ingredients. To further showcase local ingredients and Chef Jeff’s culinary creativity, The White Whale now offers the opportunity to book a Chef’s Table. Parties from 4 to 20 people can book a special interactive evening where Chef Jeff cooks for them exclusively, using only Comox Valley ingredients. Each reservation will start with a brief consultation in order to determine details such as menu and price. Each Chef’s Table reservation will end with full bellies and big smiles! Please email chef@whitewhalecourtenay.ca to get started. Check out our Easter hours friends! We’re taking some time off to relax with our hoppy friends/in-laws and to do some maintenance on the HQ. We’ll be back to regular hours on Wednesday. Due to unforeseen circumstances with liquor licensing we have to postpone our would-be Good Thursday/Good Friday shaker for another weekend. Just know that we are going to take this bottled energy and uncork it at an even better party. So, go wild with your in-laws this weekend and make the most of your Easter feaster! The White Whale updated their cover photo.